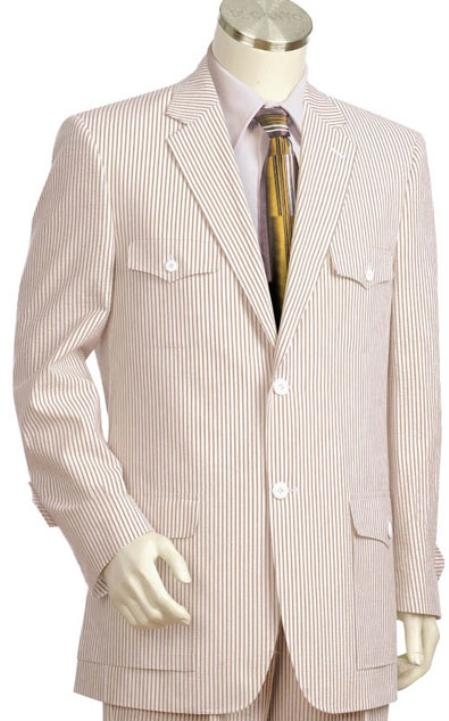 A seersucker suit is a perfect kind of a summer special garment that is worn by men who love to fashion a cool look with a fashionable suit during scorching summer season. Anything that you put on during summer should ensure a comfortable wear and should also make you look smart as ever. You cannot compromise on your look or with comfort as summer is a time when you will have to take care of both this aspect as much as possible. Summer season is the best period of the whole year that allows you to be out all day long enjoying the season to the fullest. This is one opportunity that many men grab to dress in their best for a party, get-together or any celebration that will require you to look great and at the same time enjoy. A seersucker suit is surely one of the best choice a man can afford if he wants to sport a trendy suit that can lift up his personality and at the same time keep him cool from inside If you have worn an kind of a seersucker made clothing, then you can surely understand the comfort and ease a seersucker suit a can give. This full cotton specially spun fabric is all capable of allowing free airflow between it and the person's skin. If you think that seersucker suits is hard to maintain and will need to be pressed like other summer suits then you can be reassured about its unique texture that does not require any pressing. 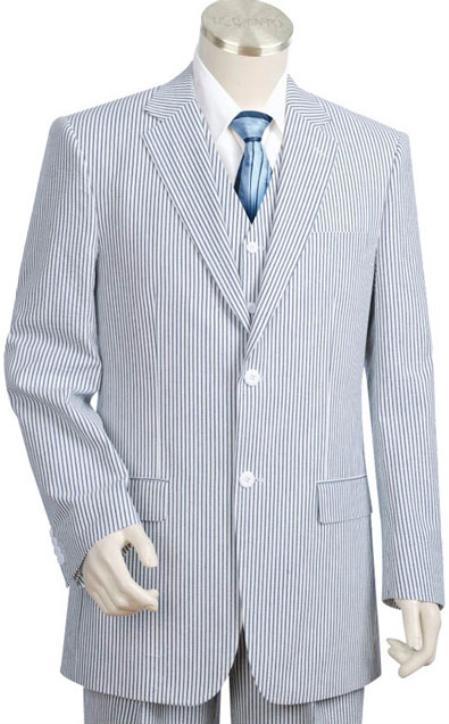 Seersucker suit that was manufactured earlier used to come only in two colors like green and blue with white but, recently, technology and other advanced methods that are adapted in dying industry has made this fabric be available in many more attractive color choices that are great for summer.